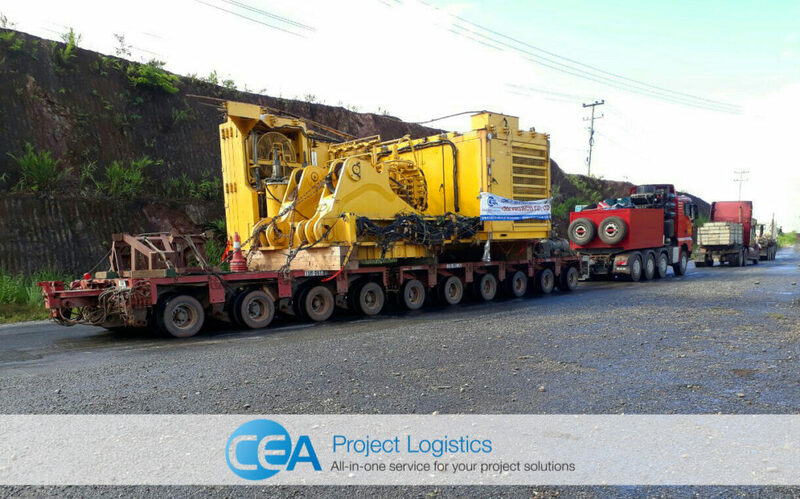 CEA Projects Vietnam recently completed the transportation of a large mining excavator from Laem Chabang Port in Thailand by vessel to Vung Ang in central Vietnam and then across the border to the mine site located 500km into Laos. The body of the excavator was 5.4m wide and weighed 70T. The rest of the unit was spread over 6 trucks with each trucking carrying over 30T. 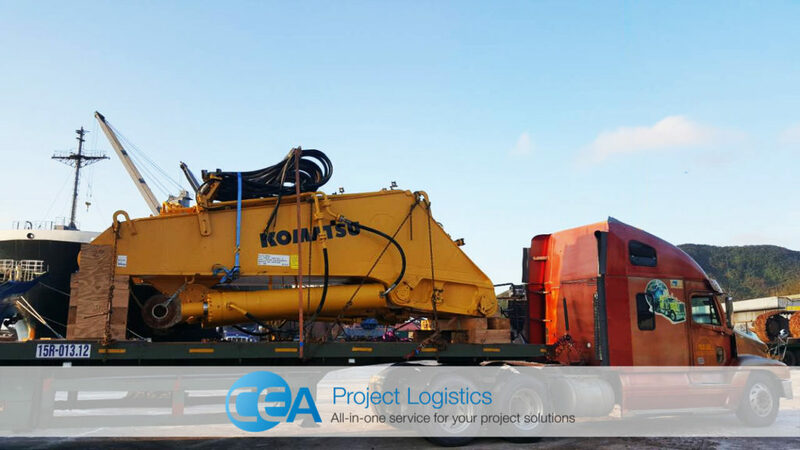 The move was critical for the mine site and was delivered under extreme safety conditions due to the fact that the route was hit by a typhoon just two days prior to transportation which limited both the quality of the road and the width. 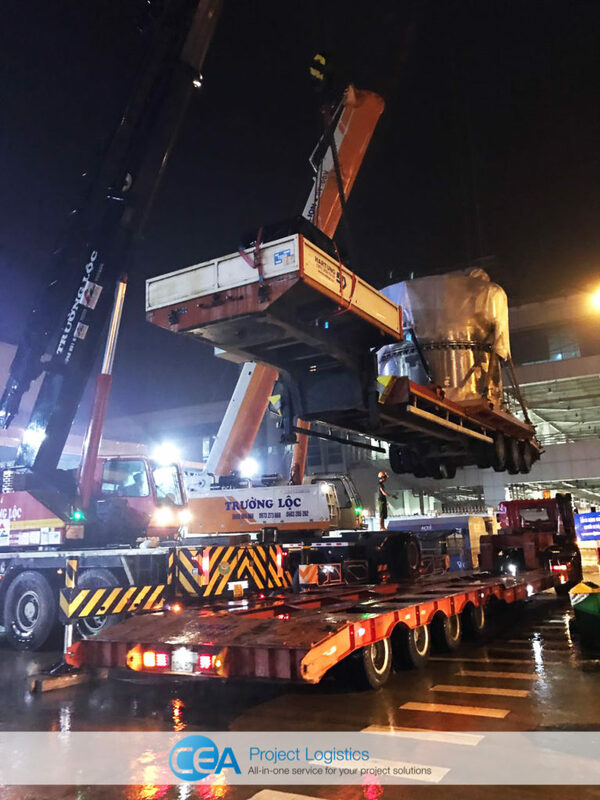 The delivery of a large chemical tank and trailer marked the largest shipment that had arrived at Noi Bai International Airport in Hanoi Vietnam. 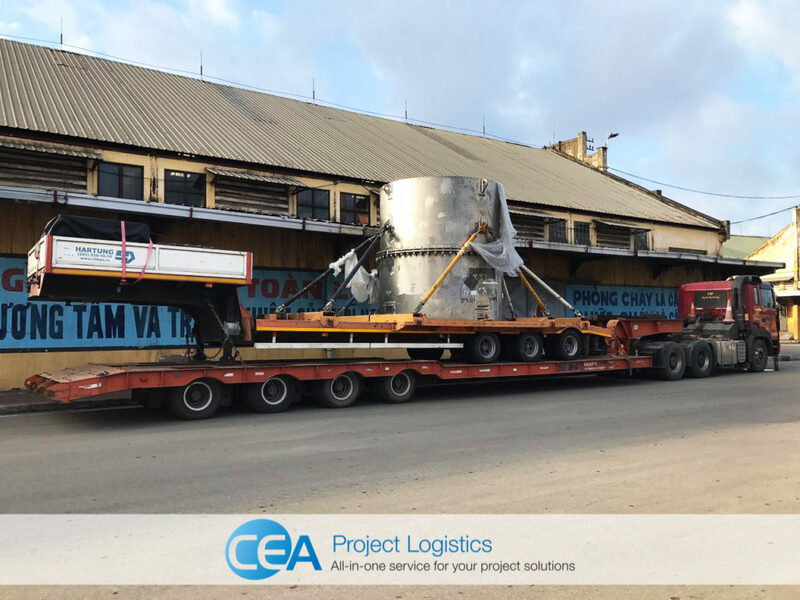 CEA Vietnam working in conjunction with the Russian airline arranged the unloading of the tank and trailer as one unit to transport to Hai Phong Port and then onto the vessel for export to Ghana. 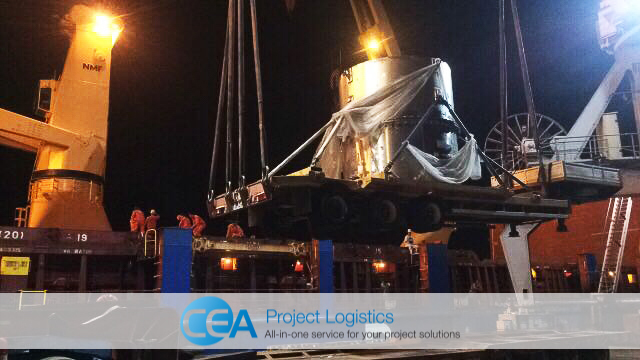 CEA Projects Vietnam experienced team of logistics professionals provide a full scope of high-quality logistic services and manages the latest advances in safe processes in both the local Vietnam market as well as internationally. To learn more about CEA in Vietnam Click Here.